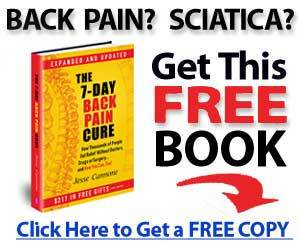 A real story of Back pain: Will this book really help me with my back pain? What solutions for pack pain does this book provide? Will this book really teach me something that I don’t already know? The book discusses the true causes for back pain and various ways to treat backaches without the use of drugs. It can help sufferers of back pain by helping them determine what it is that is truly causing their pain and giving them several alternatives to addressing the causes and symptoms of their pain. The Smart & Easy Guide To Relieving Back Pain: The Book Of Natural Treatments, Therapy, Exercises, and Relief For Those Living With Backpain is here to help. This one of the best book to read by professionals who like to improve their health. What are the genuine causes of back pain and what is causing my back pain? Why is it that, in general, traditional medical solutions don’t work? Which traditional treatments for back pain actually work? What are the available alternatives to addressing my back pain’s causes and symptoms? How can increasing the frequency of what I’m currently doing to address my back pain be the solution? How do different cultures deal with back pain and how can I benefit from their methods? How can hot and cold compresses help me with my back pain? – What is “The Power of 5” and how can it help me? The true objective of the book, as its title suggests, is to allow its readers to lead a normal life, which back pain often deprives its sufferers of. The book aims to accomplish its goal by educating its readers about pack pain and the alternatives for dealing with this pain that are available to them. According to BBC, all the back pains are not equal. This list helps you on myths of backpain.